Ya'll know that I love my sample boxes. So, when I found out about Influenster, I just had to sign up! 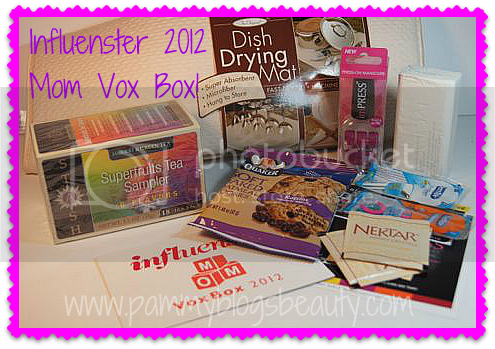 Influenster is a site that connects bloggers/vloggers with brands through their *free* Vox Boxes. Vox Boxes contain a variety of samples centered around a certain category. 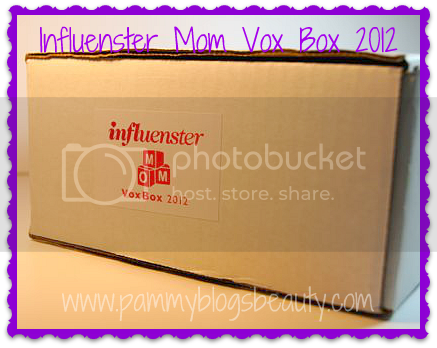 For my first Vox box, I got selected for the "Mom box". Influensters are chosen for certain box releases based on their "influence" and their demographic. This is all still new to me as I get to know the Influenster site and how the system works. While I was hoping for a beauty box, this Mom box is fun too! As many of you readers know, I am a new Mommy. I have a 6 month old baby and I have made the transition from working full time to being a stay-at-home Mom. When this box arrived in the mail, I couldn't wait to dig in to find my new-Mommy treats! First of all, I was a bit surprised when I opened my box! I don't know why, but I thought this box would have baby items. LOL, seriously, it is not called a "baby" box. So, I don't know why I assumed that. This box is filled with items that a Mommy might love. 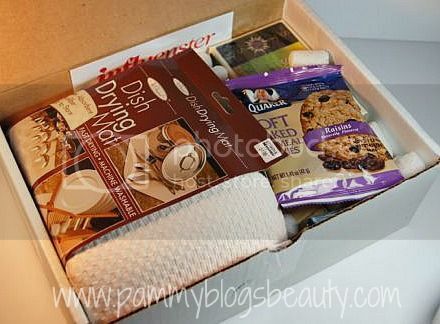 Quaker Soft Baked Cookie: I eat Quaker Oatmeal for breakfast almost every day. I am on the tail end of my "lose the baby weight" diet. Oatmeal is an excellent diet food! This soft baked cookie was eaten immediately when I opened the box (lol, it is still a diet food in cookie form, right, ha ha!). This cookie was pretty good. It was not overly sweet and it was nice and soft. It didn't taste like homemade. But, it was pretty good for a store-bought type cookie. ($2.69 for a box of 6, this seems expensive!). So, that is it ya'll! A pretty fun assortment of home-related items. I know that this is a bit of a departure from my usual beauty posting. But, I know that many of ya'll are fellow sample box lovers and bloggers yourselves. If you haven't signed up for Influenster yet, I totally recommend it! I am having fun exploring the site and earning badges for future boxes.